免疫原: synthetic peptide (15-mer peptide corresponding to aa 1242-1256 of C4) specific for human complement split product C4d coupled to KLH (keyhole limpet haemocyanine). 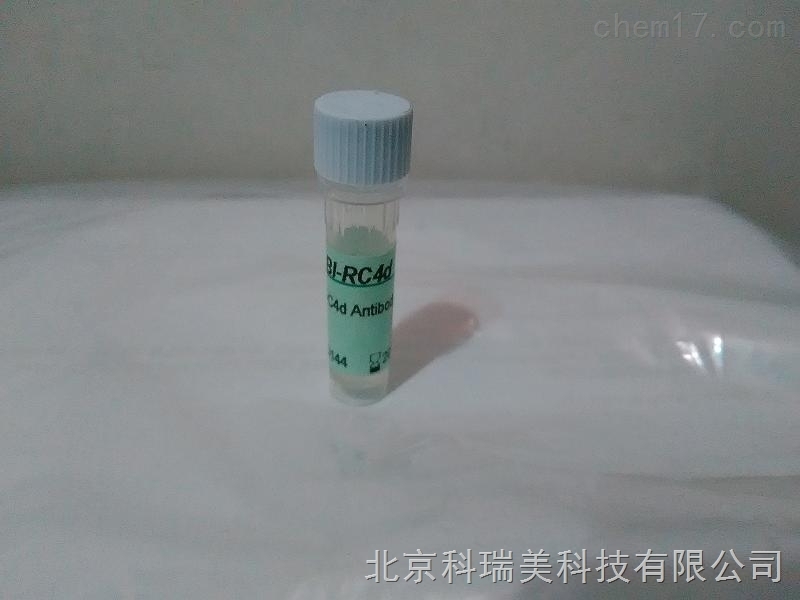 应用范围: The antibody has been tested for use on paraffin sections and frozen sections of human tissue. Working protocol available. Recommended dilution for immunohistochemistry: 1:30 – 1:50 Pretreatment of slides by pressure cooking (5 minutes at +125°C in TRIS/EDTA buffer pH 8.5) is highly recommended for antigen retrieval. 保存温度: Storage and transport temperature: +4°C.The antibody is stable at +4°C up to the expiry date. Shelf life: Expiry date is stated on the label.